Hearing loss is more than just an auditory issue. 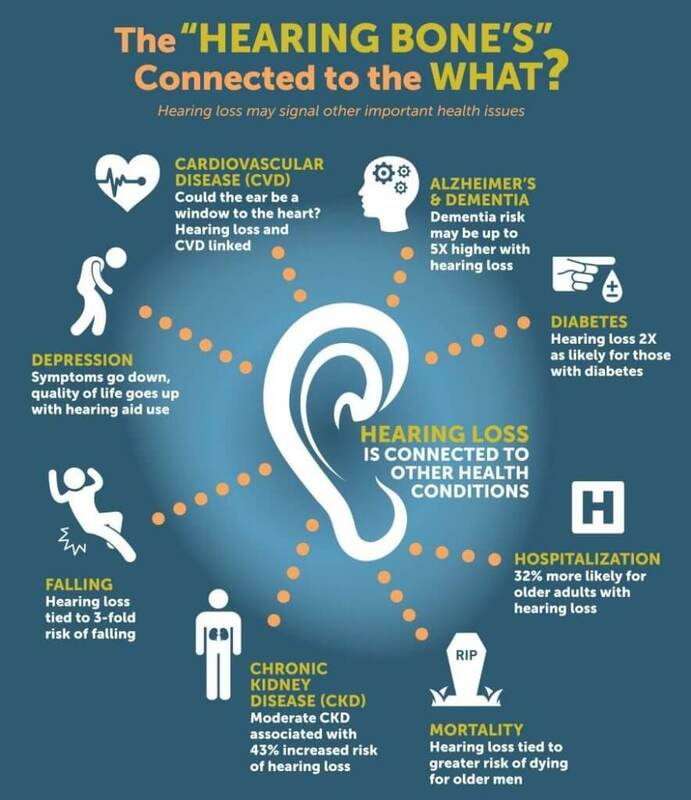 Did you know that hearing loss can have consequences that span a larger reach affecting your overall health? It is the 3rd most common chronic condition affecting baby boomers, after high blood pressure and arthritis, so it is very important to treat. Depression. Those with untreated hearing loss have a significantly higher incidence of feelings of isolation and depression. Lifespan. Studies have also shown that older adults with untreated impaired hearing have a shorter lifespan than peers with hearing problems that wear hearing aids. Cognitive Decline and Dementia. Those with untreated hearing loss can also experience a 30-40% faster decline in cognitive abilities and are more likely to develop dementia. Get yourself or your loved one evaluated and treated if they need it! Hearing aids used to treat hearing loss have been shown to improve auditory processing and combat the negative affects of aging and hearing loss! What if you already have hearing aids? Continue your course of action with your hearing aids. Get tested every year to monitor your current hearing levels and get your hearing aids optimized for your latest testing data. At The Hill Hear Better Clinic we are dedicated to keeping your hearing aids at optimum performance levels and make sure you are receiving the maximum benefits of our treatment plans!